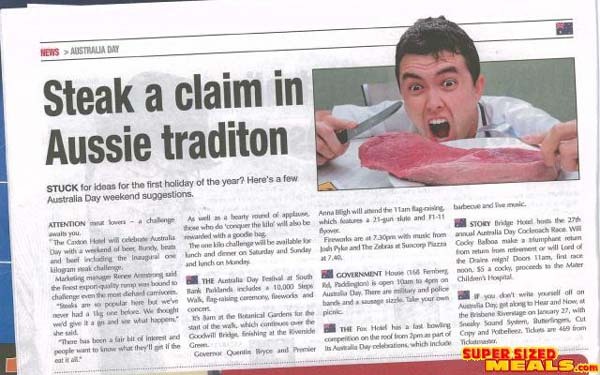 This Australia Day weekend, the Caxton Hotel in Brisbane, Australia is running their inaugural 1kg Rump Steak Challenge. 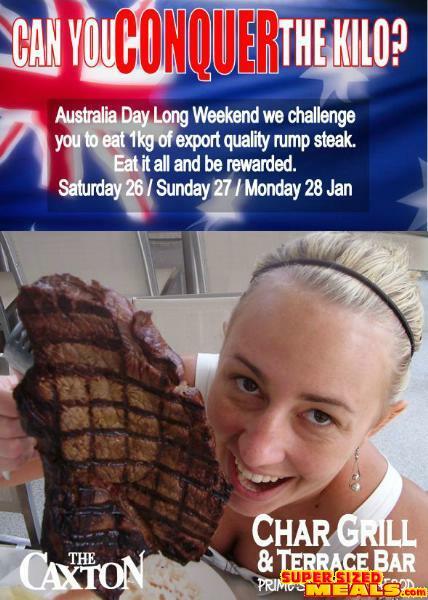 The Challenge: To eat the Caxton 1kg Rump Steak in one sitting (AU$35.90). The Prize: a goodies bag. No idea what's in this bag of goodies, but who cares, so long as it's a good steak! Billy, you are so there! The steak is only 1kg? Furious Pete would laugh at such a tiny morsel of food. There going to be giving away alot of prizes 1kg is no problem for most people as long as it's cooked right.